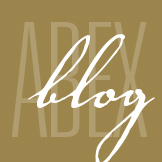 May 2015 - ABEX Affiliated Brokers Exchange Inc. According to a recent survey, 81 per cent of small business owners think that cyber security is a concern for their small businesses, while 94 per cent either frequently or occasionally think about cyber security issues. Surprisingly, only 42 per cent of respondents had invested in cyber security protection in the past year, despite the fact that 31 per cent of these businesses had experienced either a successful or attempted cyber attack. It’s possible that small business owners might simply be spreading themselves too thin. 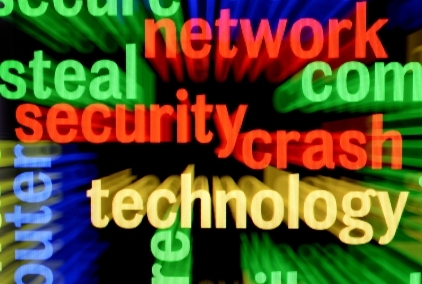 About 83 per cent of small business owners said that they handle cyber security themselves. But given the threat, it was surprising to discover that 95 per cent of small business owners don’t have cyber insurance. When it comes to securing cyber assets, many people often think of only mitigating cyber risks like spam, phishing and malware. However, cyber assets can also be compromised physically. This article examines the physical exposures your cyber assets face and provides steps for mitigating these risks. Employees whose computers have access to sensitive information should not have their computer monitors oriented toward publicly accessible spaces such as reception areas, check-in desks and waiting rooms. Employees should be trained to not write out logon information on small pieces of paper affixed to computer equipment viewable in public spaces. Easy-to-grab equipment that could contain sensitive or personally identifiable information (PII), such as laptops, tablets and mobile phones, should be located away from public areas. If you have an environment where employees are working in a waiting room or reception area, train them to not leave these types of devices out on their desks unsecured. Consider using cable locks as an easy way to increase security for laptop computers. Most laptops feature a lock port for a cable that can be connected to the user’s desk. Be sure to store the key to the cable lock in a secure location away from the desk to which the computer is locked. If extremely sensitive information is stored on a laptop, consider installing tracking software. Most tracking software programs run unnoticed, and allow stolen computers to be located more easily. Many also allow administrators to wipe the hard drive remotely, if necessary. Consider implementing a badge identification system for all employees, and train employees to stop and question anyone in the operational business area without a badge or who appears to be an unescorted visitor. Minimize and safeguard printed materials with sensitive information. The most effective way to minimize the risk of losing control of sensitive information from printed materials is to minimize the quantity of printed materials that contain sensitive information. Establish procedures that limit the number of copies of printed reports, memoranda and other material containing PII. Safeguard copies of material containing sensitive information by providing employees with locking file cabinets or safes. Make it a standard operating procedure to lock up important information. Train employees to understand that simply leaving the wrong printed material on a desk, in view of the general public, can result in consequences that impact the entire company and your customers. Your mail centre can introduce a wide range of potential threats to your business. Your centre’s screening and handling processes must be able to identify threats and hoaxes and to eliminate or mitigate the risk they pose to facilities, employees and daily operations. Your company should ensure that mail managers understand the range of screening procedures and evaluate them in terms of your specific operational requirements. Too often, sensitive information, including customers’ PII, company financial data and company system access information, is available for anyone to find in the trash. Invest in business-grade shredders and buy enough of them to make shredding convenient for employees. Alternatively, subscribe to a trusted shredding company that will provide locked containers for storage until documents are shredded. Develop standard procedures and employee training programs to ensure that everyone in your company is aware of what types of information need to be shredded. Dispose of electronic equipment securely. Be aware that emptying the recycle bin on your desktop or deleting documents from folders on your computer or other electronic device may not delete information forever. Those with advanced computer skills can still access your information even after you think you’ve destroyed it. Disposing of electronic equipment requires skilled specialists in order to ensure the security of sensitive information contained within that equipment. If outside help, such as an experienced electronic equipment recycler and data security vendor, is not available or too expensive, you should at a minimum remove computer hard drives and have them shredded. Also, be mindful of risks with other types of equipment associated with computer equipment, including CDs and flash drives. Train your employees in facility security procedures. A security breach of customer information or a breach of internal company information can result in a public loss of confidence in your company and can be as devastating for your business as a natural disaster. In order to address such risks, you must devote your time, attention and resources (including employee training time) to the potential vulnerabilities in your business environment and the procedures and practices that must be a standard part of each employee’s workday. And while formal training is important for maintaining security, the daily procedures you establish both in how you normally conduct business and in the way you model good security behaviours and practices are equally important. In short, security training should be stressed as critical and reinforced through daily procedures and leadership modelling. Establishing procedures and training employees to physically protect your company’s cyber assets will allow for a secure work environment.